Our new Collapsible Vegetable Cages are the ideal solution to your gardening needs. These cages stand 5 ft. tall and can be opened to the exact width your plants need. 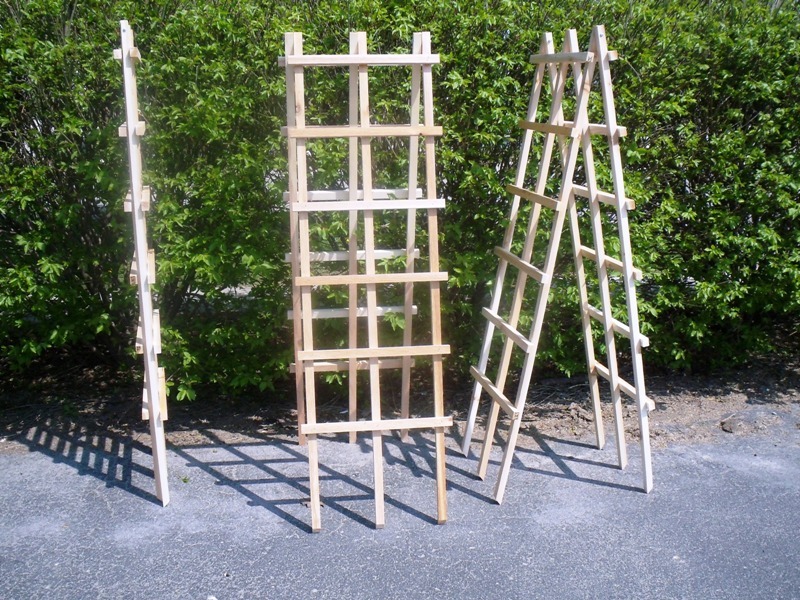 These attractive cages are the perfect support for tomatoes, cucumbers, peas or any climbing plant. Compact and easily stored this vegetable cage collapses to nearly flat at only 2 1/2". These durable collapsible vegetable cages are lightweight (only 7 lbs.) made from cedar and are glued and fastened to last many growing seasons. Enhance the beauty of your garden during the growing season and when the season comes to an end store these cages away in minimal space.